Morning Devotions with Cap'n Kenny - "The Judas Awards"
You see, Judas was a great actor. He was the first of many among Jesus' followers who were—and are—tremendous actors: people who talk the talk, but underneath they are phonies. They are fooling only themselves. And accidents happened repeatedly for months and months that seemed like years and years! Eventually, when he grew into his bladder and learned better doggy habits, I was ready for a makeover of a carpet-kind for my munched-on, stained-up family room. So I went to the home improvement store, ordered new carpet, and waited with excitement for installation day. When new-carpet day finally came, I watched the installers painstakingly remove the old flooring layer by layer. First they pulled back and removed the stained, chewed up carpet. Then they tore out the worn down old pad and put all the nasty, soiled carpet and padding in their van to take to the dump. Thank you! Next they cleared away the remaining debris – cleaned the entire area – and installed the fresh flooring. A fluffy new foundation of padding and carpet! It was a beautiful transformation and I was giddy with gratitude. The whole process reminded me of this truth: God is all about beautiful transformations. He is an active, deeply personal, infinitely caring God who restores us on a heart level with makeovers of a masterful kind. When we turn to Him in repentance, He takes the broken, stained areas of our lives away and replaces our mess with a beauty that is far beyond ourselves – the beauty of Christ. Listen, friend, I am living proof of the scandalous nature of God’s grace … of His willingness to forgive and restore ugly, tattered heart places. I don’t write from a platform of perfection, but from a foundation of grace that was finished and established by the blood of Jesus Christ. He gave His life so that you and I could live beyond our pasts – beyond our disappointments – beyond our biggest mistakes and our deepest pains. He bore a cross so we could be forgiven and made new. So we could have abundant life. Full life. Not a held-back-by-the-stains-and-shames-of-your-past life. I don’t know where this finds you right now, but God does. 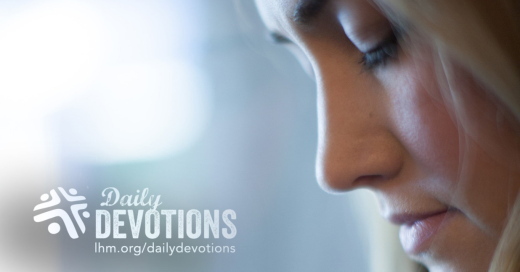 He knows and sees everything – and He loves you like crazy. We all have brokenness that needs fixing and stains that need to be cleaned. We all need a makeover! The good news of the Gospel is simple: when we call out to God and seek His heart and forgiveness through Jesus Christ, He does a new thing! He meets us with mercy, forgives completely, blesses us with grace that we don’t deserve. Are you ready for the Lord to do a new thing in your life today? Dear Lord, I’m so grateful that You love makeovers as much as I do! You know my heart, my messes, failures, and wounds. Please create a clean heart in me today and do a new and beautiful thing in my life. Happy New Year! Are you ready to move forward in God’s fresh grace today? Click over to my blog and leave a comment that says, “I’m ready for a new thing!” While you’re there, check out the photo of my precious, problematic puppy and take a moment to listen to the song Broken into Beautiful. Today’s reading is drawn from 2 Timothy 1:10-11. Paul was proud of his ethnic heritage, openly embracing his Jewish background and connection to his “forefathers,” people of faith such as Abraham, Isaac, Jacob, Joseph, Moses, and David. At first this seems to contradict Paul’s earlier words when he called that same background a “loss” and “rubbish” compared to the richness of knowing Christ (Phil. 3:4–8). At times he did harshly criticize his culture, but only at the points where it fostered self-righteous pride, exclusive attitudes, and belief in salvation through keeping rules rather than by faith in Christ. In reality Paul had a healthy perspective of his roots. He valued the positive aspects of his heritage while rejecting its negative sides. This outlook might have made Paul particularly effective as a “teacher of the Gentiles” (2 Tim. 1:11), a remarkable calling given his training as a Pharisee. 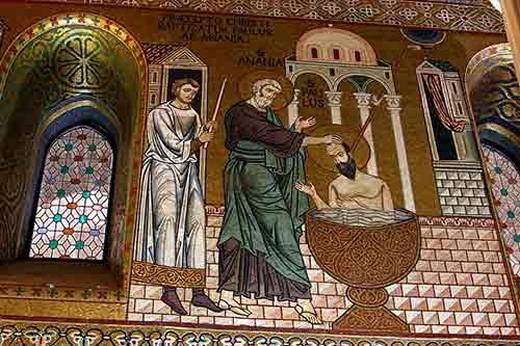 As God helped Paul reassess his own ethnicity, He also transformed his disdain for non-Jews. Once Paul understood his own identity, he no longer felt threatened by people of other cultures. Paul had much to offer Timothy, who came from a mixed background of Jew and Gentile (Acts 16:1–3). He also helps us understand our own backgrounds and the spirit of acceptance we should adopt as members of a diverse culture where racial and ethnic tensions run high. More: God never asks us to reject our roots. No matter how our culture regards our heritage, we can affirm it as a gift from Him. 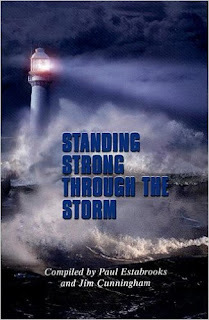 LHM Daily Devotion - "God's Way or Man's Way"
You don't like being depressed, do you? Of course you don't; neither do I. But I did get depressed when I recently read a quote from Bertrand Russell's 1903 essay: "A Free Man's Worship." Let me share a few excerpts and, when I'm done, you tell me how you feel. Russell wrote, "The life of Man is a long march through the night, surrounded by invisible foes, tortured by weariness and pain, towards a goal that few can hope to reach, and where none may tarry long. One by one, as they march, our comrades vanish from our sight, seized by the silent orders of omnipotent Death. ... let us remember that they are fellow-sufferers in the same darkness, actors in the same tragedy as ourselves. ... Brief and powerless is Man's life; on him and all his race the slow, sure doom falls pitiless and dark. ...."
That's the quote. How did Mr. Russell make you feel? Can you believe he was urging people to make the most of every day? Somehow he seems to have missed the mark. Still there are many who have come to the conclusion that Mr. Russell was absolutely right in believing that a person lives his life trying to make the best of a bad situation. He tries and then he dies. Years ago I had the funeral of a young man. Afterward, I visited the family. It was a good visit until the mother said, "You know, I wish I could believe what you said at our son's funeral, but I can't. I believe that you live, and you die, and that's it. I'm going to cry for my son and for all of us who are going to miss him, but I'm not going to try and pretend we're going to get together someday in one long, never-ending reunion. It's just not going to happen." That mother, along with much of this world, holds fast to the creed which says, "Here today, gone tomorrow." Those who adhere to such a philosophy think that Christianity is a crutch, a spiritual support, a mental prop that holds up those who aren't strong enough, smart enough, able enough to face life's troubles and tragedies, struggles and scuffles, on their own. They believe the Christian religion is utter gibberish, total nonsense: a mighty mass of inconsistencies, a hodgepodge of the ridiculous, ludicrous and preposterous. Well, Christianity and the Savior are something different to me. 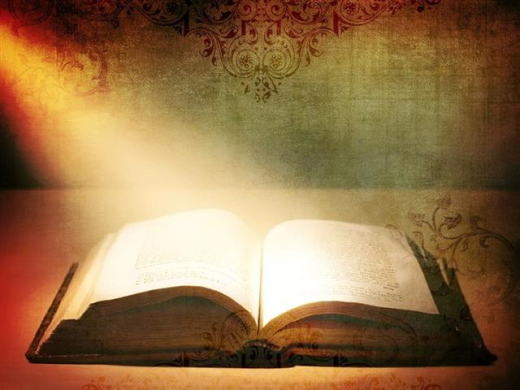 First, it is the true story of how God wishes to save us. 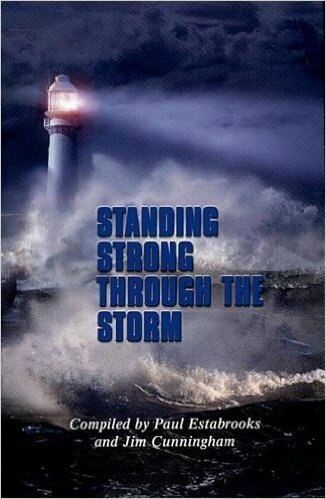 Internal proofs and external evidences prove God's Son lived, died and rose, so we might be rescued. Jesus is proof that the Triune God is omnipotent, and death -- as Mr. Russell believes -- is not. Next, it is the only narrative that guarantees salvation to those who have been washed of their sins in the Savior's blood. And, of course, the idea of the Savior taking me to a place where there are no more tears is far more comforting than Russell's "long march through the night." THE PRAYER: Dear Lord, the skeptic and cynic try to divest themselves of Your love and separate themselves from the Savior. Grant they may realize the truth of Your love and the extent of their mistake. In Jesus' Name I ask it. Amen. "Dios ayuda a quien se ayuda a sí mismo." 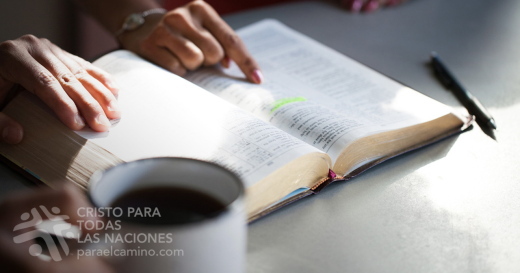 ¿Sabe en qué parte de la Biblia se encuentra esa frase? Si su respuesta es que esa frase no se encuentra en la Biblia, le felicito. Si por el contrario todavía está tratando de pensar en qué libro de la Biblia se encuentra, no piense más, porque la Biblia no dice eso, por más que la mayoría de las personas así lo cree. Se me ocurre que una pareja de Pennsylvania se encuentra entre este último grupo. Hace unos días, ambos fueron arrestados por robar, luego de que sus imágenes fueran captadas por una cámara de seguridad. Según se puede ver, robaron alimentos de un supermercado por el monto de más de mil dólares. ¿Saben qué iba a hacer esa pareja de recién casados con esos alimentos? Iban a utilizarlos para alimentar a los invitados a la fiesta de casamiento... algo muy diferente del ejemplo de Jesús en su parábola, en donde el hombre había preparado sus propios animales. Cuando servía como pastor, a menudo encontraba parejas que, al igual que ésta, tenían las prioridades equivocadas. Algunas se preocupaban más con el largo de la iglesia que con el mensaje que el pastor iba a dar. Otras invertían más tiempo eligiendo el vestido, la torta, o las invitaciones, que eligiendo la iglesia a la que pertenecerían una vez casados. Y mucho más tiempo se invertía en preparar el casamiento, que en hacer que el matrimonio funcionara. Casi siempre es malo tener las prioridades equivocadas. Damos gracias porque Jesús nos sugiere cómo debería ser nuestra lista de prioridades. En Mateo 6, Jesús dice: "... busquen primeramente el reino de Dios y su justicia, y todas estas cosas les serán añadidas" (v. 33). Solteros o casados, a todos nos vendría bien seguir el consejo de Jesús. Cuando seguimos al Salvador, todas las demás cosas se acomodan. Cuando seguimos al Salvador, los problemas y las cargas de la vida se hacen soportables. Cuando seguimos al Salvador tenemos perdón, esperanza y vida eterna. ORACIÓN: Señor Jesús, tú nunca te olvidaste que tu prioridad al venir a este mundo era salvar las almas perdidas. Ayúdame para que nunca me olvide de tenerte a ti en primer lugar en mi vida. En tu nombre. Amén. 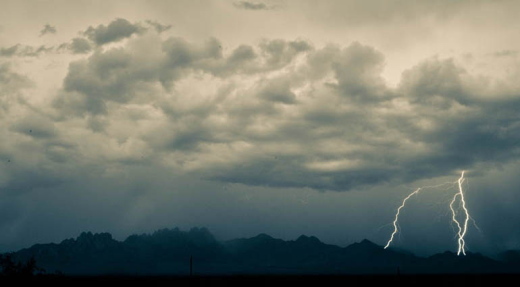 I love lightning and thunder primarily because they are symbols of God's voice (Job 37:4), speaking with stupendous, irresistible power through His Word. “The voice of the Lord strikes with flashes of lightning . . . The Lord gives strength to his people; the Lord blesses his people with peace” (Ps. 29:7, 11). He gives strength to endure, to be patient, to be kind, to sit quietly, to get up and go, to do nothing at all. Faith connects our weakness to God's strength. Voz del Señor que derrama llamas de fuego (Salmo 29:7). Hace muchos años, pescaba con un amigo en una laguna, cuando empezó a llover. Nos refugiamos en un bosque de álamos, pero la lluvia no cesaba. Entonces, decidimos dar por terminado el día y correr hasta la camioneta. Acababa de abrir la puerta, cuando un relámpago cayó como una bola de fuego en el bosque, tronando y arrancando las ramas de los árboles, y dejándolas ardiendo. Después, reinó el silencio. Señor, aquieta mi espíritu en las tormentas de la vida y dame fuerzas para atravesarlas. Vor vielen Jahren war ich mit einem Freund an ein paar Fischteichen zum Angeln, als es zu regnen begann. In der Nähe war ein kleines Wäldchen mit Zitterpappeln. Dort suchten wir Unterschlupf, aber der Regen hörte nicht auf. Also beschlossen wir, den Ausflug abzubrechen und zum Auto zu rennen. Ich hatte gerade die Tür aufgemacht, als ein Blitz in die Pappeln fuhr und ein Feuerball unter gewaltigem Donner Blätter und Rinde von den Bäumen fraß und in den Ästen weiterschwelte. Dann war es still. Blitz und Donner suchen unser Tal regelmäßig heim. Ich liebe das—obwohl ich ihnen nur knapp entkommen war. Aber ich liebe die rohe Gewalt. Die Spannung! Den Hall! Angst und Zittern! Die Erde und alles, was darinnen ist, bebt und wackelt. Und dann ist Friede. Ich liebe Blitz und Donner vor allem, weil sie ein Symbol für Gottes Stimme sind (Hiob 37,4), die mit enormer, unwiderstehlicher Kraft durch sein Wort spricht. „Die Stimme des Herrn sprüht Feuerflammen . . . Der Herr wird seinem Volk Kraft geben; der Herr wird sein Volk segnen mit Frieden“ (Ps. 29,7.11). Er gibt uns Kraft zum Durchhalten, zum geduldig und freundlich sein, zum Stillsitzen und Aufstehen, zum Gehen und auch zum einmal gar nichts tun. Mach mich ruhig in den Stürmen, Herr. Schenk mir deinen Frieden und Kraft für diesen Tag. Der Glaube verbindet unsere Schwäche mit Gottes Stärke. Много лет назад мы с другом рыбачили на бобровых озерах. Начался дождь, и мы попытались укрыться в небольшой осиновой рощице. Но дождь усилился, и мы решили, что лучше нам убраться восвояси. Только я открыл дверь машины, как мощный разряд молнии ударил прямо в рощицу, где мы только что прятались. Тут же грянул такой раскат грома, что листья и даже кора слетели с деревьев, оставив лишь обугленные сучья. А затем настала полная тишина. Вспышки молний и грохот грома в штате Айдахо – не редкость. Мне это нравится, несмотря на пережитое в роще. Я люблю мощь природы. Напряжение! Звук! Страх и трепет! Земля и все на ней дрожит и колеблется. А затем тишина. Но главная причина моей любви к грому и молнии заключается в том, что это символы голоса Бога (Иов 37:4), говорящего мощно и неотразимо со страниц Священного Писания. «Глас Господа высекает пламень огня... Господь даст силу народу Своему, Господь благословит народ Свой миром» (Пс. 28:7, 11). Он дарует силу, чтобы устоять в испытаниях, быть терпеливым, добрым и спокойным, чтобы встать и идти, а также чтобы иногда успокоиться и не делать ничего, доверившись Ему. Пусть Божий мир пребудет с вами. Успокой мой дух в бурях, Господь. Даруй мне Твой мир и силу, чтобы прожить этот день. Вера связывает нашу слабость с Божьей силой. Il y a plusieurs années, un ami et moi pêchions dans des étangs à castors quand il s’est mis à pleuvoir. Nous nous sommes alors abrités dans un bosquet de peupliers. Comme la pluie ne cessait de tomber, nous avons décidé de mettre fin à notre journée de pêche et sommes retournés à la camionnette au pas de course. Or, je venais tout juste d’ouvrir ma portière lorsqu’un éclair s’est abattu sur le bosquet dans une boule de feu très bruyante qui a dénudé les arbres de leurs feuilles et de leur écorce, ne leur laissant que quelques branches fumantes. Puis ce fut le silence. Du coup, nous en avons été sous le choc et remplis d’admiration. Éclairs et tonnerre ont frappé un peu partout dans notre vallée de l’Idaho. Et tout cela me plaît beaucoup, même si j’ai passé près d’y rester. J’aime entendre la puissance brute se déchaîner. Le haut voltage ! La percussion ! Le choc et l’admiration ! La terre et tout ce qu’elle renferme tremblent et frémissent au bruit du tonnerre. Puis vient la paix. Cela me plaît surtout parce qu’il symbolise la voix de Dieu (JOB 37.4), qui s’exprime dans sa Parole avec une puissance stupéfiante et irrésistible. « La voix de l’Éternel fait jaillir des flammes de feu. […] L’Éternel donne la force à son peuple ; l’Éternel bénit son peuple et le rend heureux » (PS 29.7,11). Il nous donne la force tant de persévérer que de patienter, d’user de bonté, de rester calmes, de nous lever et de ne rien faire. La foi branche nos faiblesses sur la force de Dieu.